Timeline: American History and Americana get themselves reviewed by the experts over at Play Board Games. Do you know who wrote The Federalist Papers? 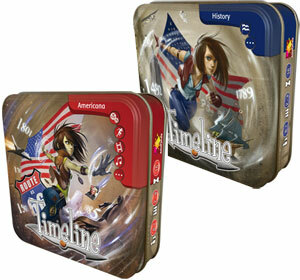 Timeline: American History and Timeline: Americana add new themes for the Timeline series. Do you know your American History or Pop Culture? Test yourself and your friends with these games.